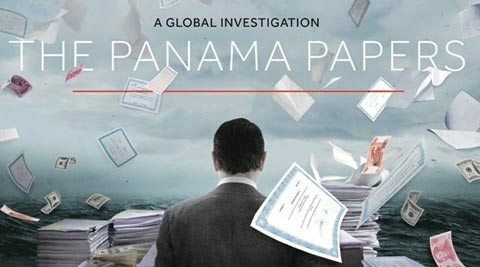 ISLAMABAD: Minister of State for Finance, Revenue and Economic Affairs Hammad Azhar on Friday informed the National Assembly that notices had been issued to 294 people named in the Panama Papers under relevant sections of Income Tax Ordinance, 2001, whereas some 150 could not be traced due to “incomplete particulars”. Replying to a question regarding reasons behind inaction against the 444 Pakistani citizens named in Panama Papers for allegedly owning offshore assets, the minister said that the audit proceedings had been finalised in 15 cases and the remaining 36 cases were being heard. “242 cases are being pursued to initiate proceedings and a demand of Rs10.9 billion has been created in 15 cases out of which Rs6.2 billion have been recovered,” he said. He also said that 12 offshore assets holders named in Panama Papers were no longer alive. Earlier, the minister told that the Federal Board of Revenue (FBR) had collected data of 96,000 Pakistanis having bank accounts abroad. The government is committed to the institutional development of FBR, he said, adding that the Finance Ministry was taking necessary measures to enhance the capacity of the board to collect revenue and make it an agency that provides fair and just treatment to the taxpayers. Separately, a meeting of the Assets Recovery Unit was held under the chairmanship of Prime Minister Imran Khan. According to a statement issued here, the Assets Recovery Unit briefed the premier over its performance and presented details of the traced properties and assets abroad. The unit also updated the prime minister about the steps taken for repatriation of the properties and assets so far.